Add a little artwork to your outside furniture. 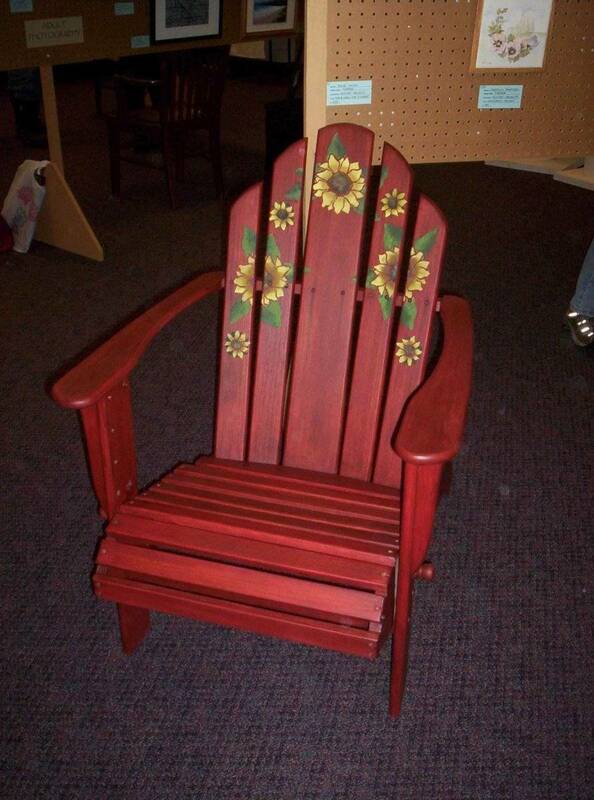 We stained this piece in a rustic red and added sunflowers for a little flair. We can paint whatever your heart desires on existing or new outdoor furniture.